For help with Macintosh Creatures Exodus or Macintosh Creatures Village, read Macintosh Creatures Evolution Engine! The original Creatures game was released for both Windows and the Macintosh. It should be noted that the game does not run on modern Mac machines - For further discussion on OS compatibility and emulation see the talk page. An in-house port of Creatures 2 was started by Cyberlife Technology, but never completed. The Mac rights to Creatures 3 were bought by Cognition Games in early 2003, a month before Creature Labs went into liquidation. It was ported to Mac OS X by Broadsword Interactive but due to the port overrunning and lack of money it did not get completed. At the start of 2005, Kutoka Interactive offered to complete the port and distribute the title in North America, which was re-branded Creatures Exodus, and additionally port Creatures Village to the Mac too. This deal was announced on 19 May 2005 at E3 (more info). 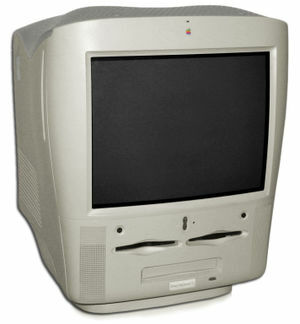 Kutoka's port depends on PowerPC technology, so is not compatible with Macintoshes which were made after 2006. Some players have used emulators to run Windows editions of Creatures on OSX, one such tutorial is available here: Creatures on OS X Tutorial. Openc2e is an unofficial open-source 'clone' of the Creatures Evolution Engine that runs on Mac OS X. It is currently in development. This page was last modified on 8 December 2017, at 21:00.